The Georgia High School Association values the commitment of our corporate partners. Through their investment of dollars, resources and expertise, the GHSA is able to provide media broadcasts, quality venues, products and services that strengthen the championship experience. Our corporate teammates enjoy the ability to connect with students, families and communities through a variety of live events and promotional platforms. Our custom marketing programs strive to compliment our partners goals through the rich tradition of the GHSA, while building character through competition among Georgia's teens and future citizen leaders. For more information contact Alan Sharp, GHSA Marketing, at market@ghsa.net. Since 1998...Official energy company. Underwriter of GPB TV football playoffs and state championships, Title sponsor of GEMC Cooperative Sprit Sportsmanship Award, which recognizes the top school in each region that displays the highest level of sportsmanship. GEMC - Lighting The Way. Since 2011...Presenting sponsor of Football State Championships and official awards provider of trophies / medals. Supporter of football and basketball state finals and football playoffs televised on GPB TV, Georgia High School Scoreboard Show (football radio) and NFHS Network (video streaming). Georgia Farm Bureau Insurance - Always the Home Team. Since 2008...Official bank. Underwriter of GPB TV football playoffs and state championships. Title sponsor of the Regions / GADA Directors Cup. Regions - it's time to expect more. Since 2013…..Official partner of the GHSA Basketball Playoffs / State Championships. Since 2015...Presenting sponsor of the Track & Field State Championships, as well as support for Cross Country. For more information, visit atlantatrackclub.org. Since 2005...Gatorade is the Official Sports Fuel Provider of the GHSA. Gatorade products are approved by GHSA to be consumed by Georgia high school athletes. Since 2016 ... Official digital ticketing provider. GoFan offers fans an easy way to buy tickets to GHSA and school events. Since 2003...Official athletic equipment company and presenting sponsor of GHSA State Championships in core sports of Softball, Volleyball and Baseball. Trust, Respect, Loyalty, Courage, Cohesion, Unselfishness and Passion. These are the intangible elements that unbalance the science of sport and cement the reality of the unbelievable. Mizuno believes in this reality. We are Mizuno. Since 2018…..Official military sponsor of cross country, wrestling and swimming & diving. Since 2018...Official high school esports partner. PlayVS operates esports leagues and tournaments turnkey for high schools across the nation in partnership with the NFHS. PlayVS provides rankings, standings and statistics for League of Legends and additional game titles to come. PlayVS is an online platform that enables coaches to efficiently manage teams, view match schedules, scores, rosters and statistics. For assistance, contact the Georgia PlayVS support at ghsa@playvs.com. Since 2009….Official military sponsor in football, wrestling, basketball and track & field. Since 2009….Official military sponsor in traditional wresting sectionals and track & field sectionals. Since 2005...As a Preferred Hotel Partner of the GHSA all schools, teams, officials, families and friends staying at participating Choice hotels receive a discount using GHSA promo code when booking reservations. Click here for more information. Since 1998...Official medal supplier. Neff - Motivate, Celebrate. Commemorate. Since 2008...Official sports medicine provider at football, basketball, wrestling and tennis championships. Atlanta's all-inclusive Orthopaedic Surgery and Sports medicine practice. Sports Medicine South - Beyond Better! Since 2012...Official volleyball. Provides balls for GHSA playoffs/championships. Molten - For the Real Game. Since 2016…Official soccer ball. Provides balls for GHSA playoffs/championships. Select Sport has been the innovator in soccer ball technology since the company’s inception in 1947 in Copenhagen, Denmark. 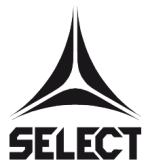 Select has introduced every major innovation in the modern soccer ball: the world’s first laceless soccer ball (1951); the world’s first 32 panel soccer ball (1962); the world’s first water-resistant soccer ball (1965); the world’s first hand-sewn PU soccer ball (1974); and the world’s first intelligent soccer ball (2012). All Select Sport soccer balls are made with the players’ needs in mind. Select Sport – Player’s Choice. For more information please visit www.selectsportamerica.com or call 770-888-3210. Since 1997...Official baseball, football, basketball and softball. Provides balls for GHSA playoffs/championships. Wilson Sporting Goods has been at the heart of sports history for over a century. No other company has been as influential and intimately involved in shaping the games of tennis, golf, baseball, softball and American football as Wilson. As the originator of breakthrough technologies, Wilson has produced legendary classics and earned world-wide legitimacy in each sport it participates in. Backed by generations of athletes, Wilson is the true American icon in the world of sports equipment. Wilson is the world's leading manufacturer of ball sports equipment. Our core sports are tennis, baseball, American football, golf, basketball, softball, soccer, volleyball, badminton and squash. –MORE WILSON MORE WIN” Contact Craig Kalb at craig.kalb@wilson.com; (678) 428-4489. Since 1997….GPB Sports is the television home to the GHSA football state championships, as well as the weekly regular season games on Football Fridays in Georgia and football playoffs. Coverage is also carried live online at GPB.org. GPB - Bringing You The Best. Since 2012... Official Statistician and Digital Media Partner. Provides power rankings, region standings and statistics in softball, football, basketball and baseball. MaxPreps offers coaches a free stat management and communication platform to efficiently submit schedules, scores, rosters and statistics. Max Preps - America's Source for High School Sports. For assistance, contact MaxPreps’ Georgia state representative, Kylie McLarty kylie.mclarty@cbsi.com. Since 2009....Official digital sports network partner of the GHSA/NFHS and the School Broadcast Program. Producer of live and on-demand playoffs/state-championship events in football, cheerleading, volleyball, swimming, wrestling, basketball, soccer, lacrosse, track and baseball. NFHS Network powered by PlayOn Sports - High School Happens Here. Since 2005...Producer of statewide radio program broadcasts of the Georgia High School Scoreboard Show and Football State Championships in partnership with the GHSA, Georgia News Network and 680 The Fan. Contact Tommy Palmer at tommy@palmermediagroup.com. Since 2007...Publisher of the state championship programs for volleyball, football, basketball, swimming & diving, wrestling, girls track & field, soccer, lacrosse and baseball state championship event programs. Producer of Score High School Sports Newletter, of ScoreAtl.com Scoreboard and GaPrepNews.com.